Lisa is a Professional Speaker (accredited with Professional Speakers Australia), Public Speaking & Presentation Skills Trainer, Certified World-Class Speaking and Storytelling Coach, Author, Speechwriter, TEDx Speaker Coach and Improvisation Actor. Lisa is known as 'The Story Midwife' with an expertise and passion for storytelling and the spoken word. She coaches people globally to help them create powerful presentations with compelling stories. Lisa has trained CEO's, entrepreneurs, business owners, and professional speakers and performers to step up confidently to share their message. Whether its the podium, platform, stage, page or on camera, Lisa will help you design and deliver a memorable presentation. Lisa can work with you one to one with personalised coaching sessions or in small or larger group tailored workshops. Lisa's coaching and training clients have included mining, resources, banking, and engineering sectors. Her clients include those who need to prepare a stand out presentation for a investor pitch, to accept and award, to appear on Shark Tank or to appear in videos and documentaries. 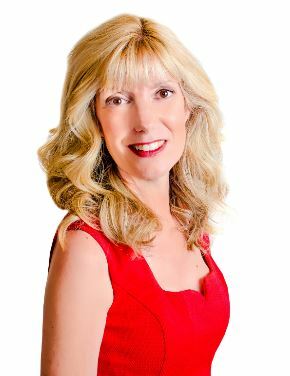 As an experienced professional speaker and performer, Lisa understands how to navigate stage fright, how to step into your authentic voice and how to move with confidence and speak with credibility and charisma. Lisa regularly speaks on radio including 6PR, ABC 720, ABC Goldfields, ABC SouthWest, Radio Northern Beaches, and Curtin FM. Lisa is a guest on various podcasts and she hosts a regular live storytelling event called Stories From the Heart. Her story and articles have appeared in Inside Small Business, Star Daily Kalgoorlie Miner, Community News, This Woman Can, and BizWitty. Fees are negotiable. Lisa offers one-on-one coaching, group training, in person or virtual. "Turning scientists into storytellers! Your coaching provided constructive advice as to how I framed my messages. The power of creating a human-centered story to convey effectively a technical message was a big revelation to me. I will now take that insight into my presentations I make for my work. Apart from coaching about the message, Lisa also provided valuable tips on delivery and stage presence"
Dr. Michael Robertson SCIRO Science Director. "I have learned so much about what it takes to tell a great story. Lisa is an inspiring presenter who is passionate about storytelling and teaching others who to tell stories that truly engage the audience". "Lisa has nee working with me to help me improve my storytelling for business skills. Through her expertise, she has made it fun, simple and effective. I have been able to create and tell stories that have engaged and influenced people. This has increased my confidence in storytelling'. "Lisa was super helpful in preparing me for my presentation. SHe gave me a clear process to follow and was knowledgeable in all aspects of presenting, including mental preparation, marketing, and logistics. Will surely work together again." "Powerful messages can be brought out by storytelling and having a strong personal brand. Lisa Evans' coaching style was invaluable in helping me deliver my TEDx talk. I thought I knew how to present, but with her coaching, I took my talk to a whole new level". Charlie Bass Charman and Founder Centre for Entrepreneurial Research and Innovation.